Initiative Group Alpbach Sarajevo (IGAS) held a presentation on European Forum Alpbach 2015 and the scholarship prrgram on 26 February at the Faculty of Economics in Sarajevo. IGAS members, who were also EFA scholarship holders, presented the European Forum Alpbach, this year's program and scholarship opportunities. They also shared their Alpbach experiences, as well as some useful tips and trick when applying for EFA scholarship. We would like to thank everyone for joining the event. Photo album is available on our FB profile. On Wednesday 8 October in Sarajevo's club Sloga was held MUNJA Studentski Welcome Event, on the occasion of the beginning of the new school year. Organizer of the event was Munja Social Innovation Incubator which celebrated its second birthday. More than 20 organizations presented themselves at the Event, IGAS among them. Munja Student Welcome Event will be held on 08 October in club Sloga in Sarajevo. The event will gather representatives of student organizations which will present their programs, as well as opportunities for education, work and travel to students. IGAS members will be there as well, representing the European Forum Alpbach and scholarship opportunities for the Forum 2015. More info on the event available at www.munja.ba. Members of the Initiative Group Alpbach in Sarajevo will participate in this year's Scholarships Fair, which is being held for the fifth time. IGAS is one of 25 organizations which will present their work and scholarship opportunities to students in Sarajevo. Members of IGAS will present our organization, as well as the European Forum Alpbach and scholarship program, which enables students to visit Alpbach and take part in this prestigious European event. 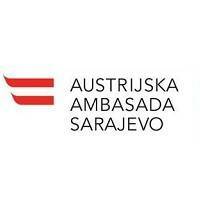 The Fair will be held on 16 October at the Mechanical Engineering faculty in Sarajevo. For more info about the Fair, visit theior official Facebook oage. See you there!